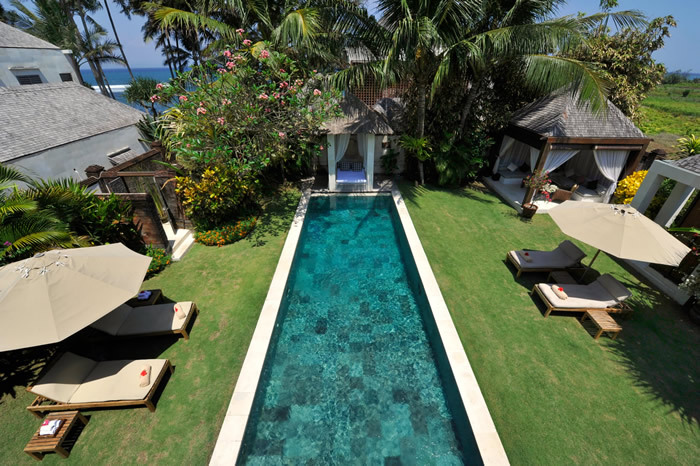 Villa Nataraja is one of the Majapahit Beach Villas - an exclusive complex of four luxurious villas resting beside a glistening black sand beach, near the traditional village of Ketewel on Bali's south-east coast. 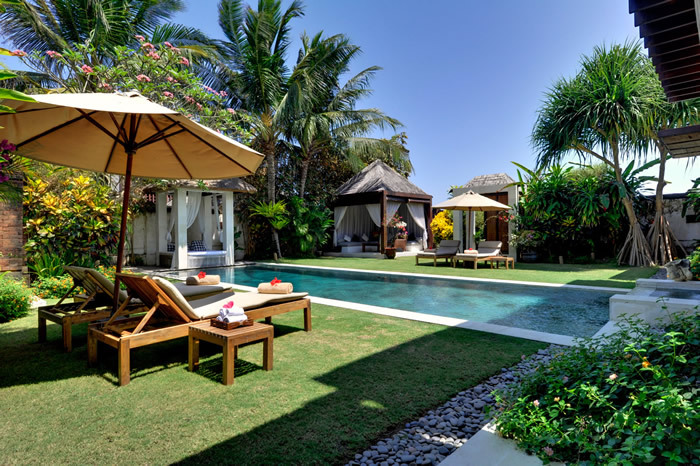 The complex lies just 10 minutes north of Sanur on Bali’s south-east coast.Surrounded by rice fields, tobacco plantations, papaya, banana and coconut groves, and only a stone’s throw from the sea, Villa Nataraja offers guests a combination of relaxed indoor and outdoor gourmet living. 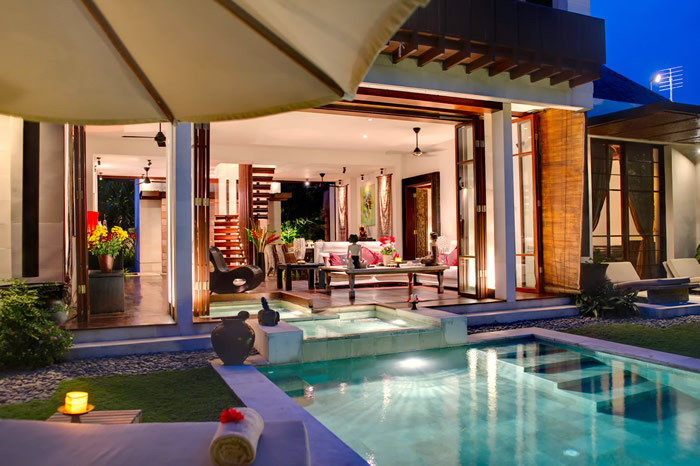 Villa Nataraja comprises a two-storey main building, housing three bedrooms – a master suite with en suite bathroom comprising two separate dressing and washing areas, two guest bedrooms with dressing area and en suite semi open air bathroom. 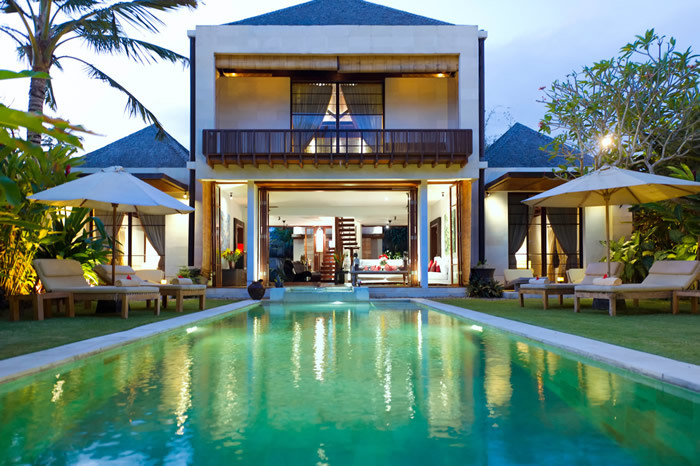 The villa also features a central living area, overlooking a lush walled garden with a swimming pool, massage pavilion and relaxation balé. 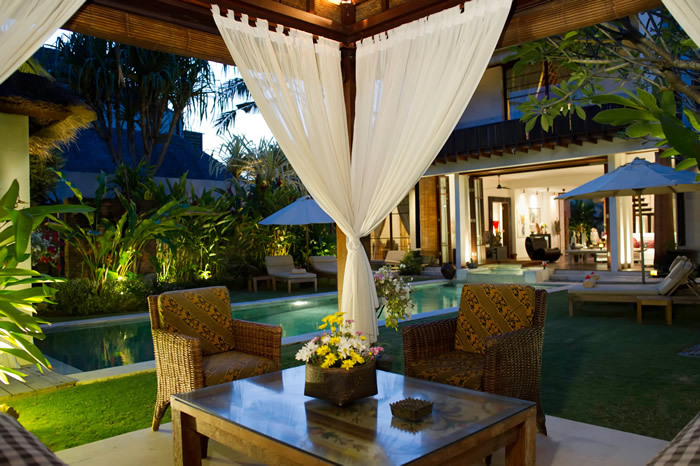 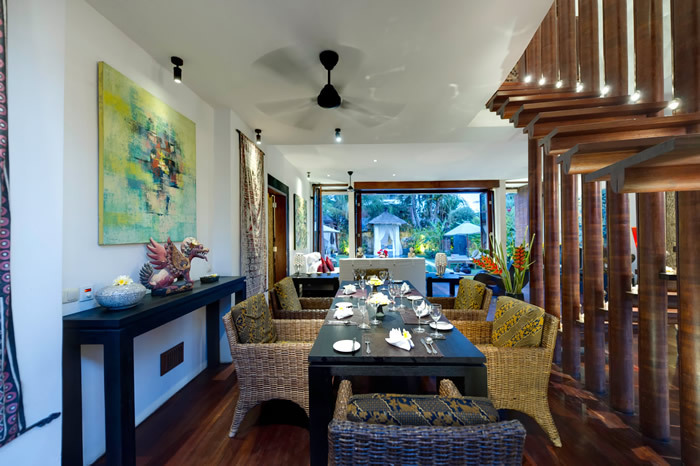 The interiors represent the essential elements of Balinese Hindu philosophy and symbolism.